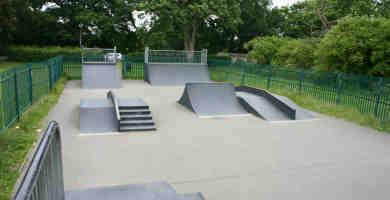 Small set of concrete ramps behind the palace. 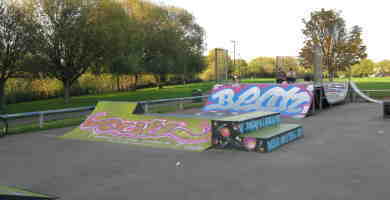 Large wooden skatepark under the A40 flyover. 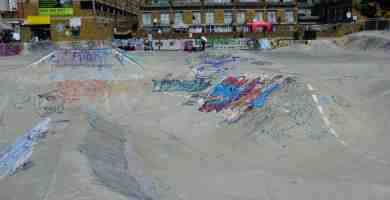 Large split level skatepark with skatelite ramps on tarmac floor. 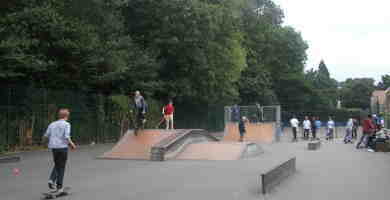 Small skatelite on tarmac park. 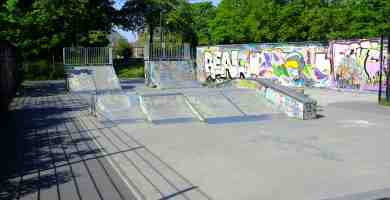 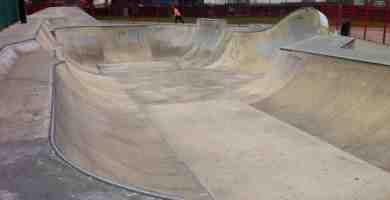 Large skatepark based around a big bowl complete with cradle. 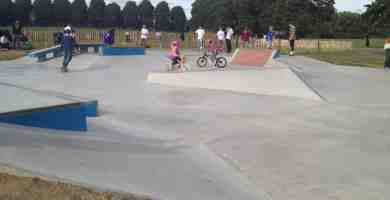 Large skatepark with a variety concrete ramps. 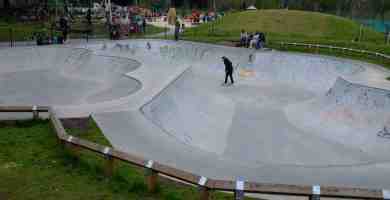 Pair of medium sized concrete bowls. 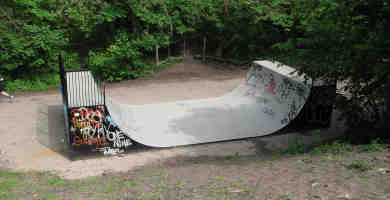 Metal miniramp nestled under the trees. 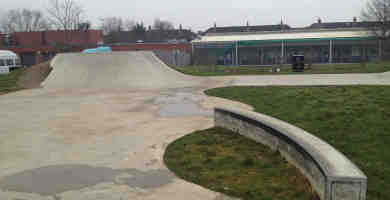 Large concrete park with bowl and street course. 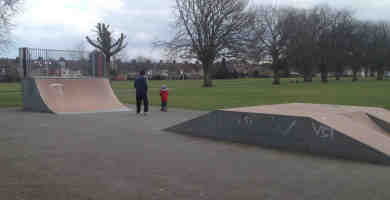 Large tarmac and skatelite skatepark, next to the A10. 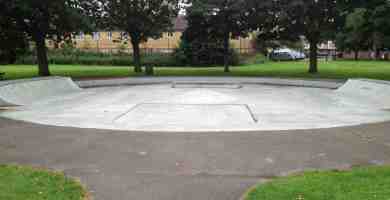 Small park in a converted paddling pool. 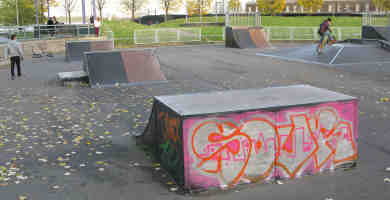 Standard layout of metal ramps on tarmac. 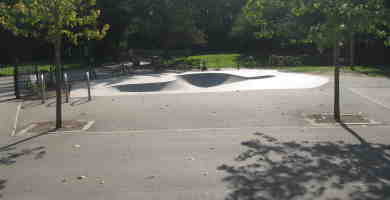 Pair of small concrete bowls, one with driveway ledge. 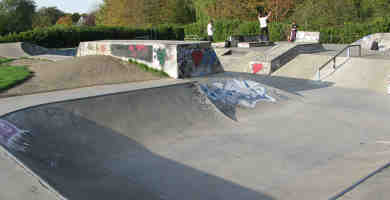 Small three ramp concrete skatepark. 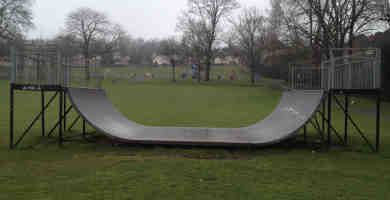 Wooden park making use of a derelict piece of land. 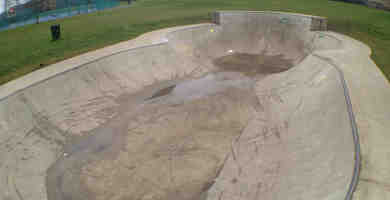 Small concrete bowl with ledges around the outside. 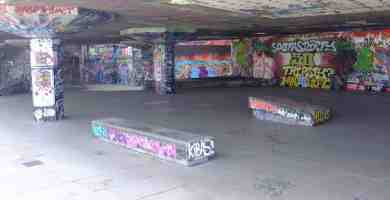 Brilliant free and dry space just a short walk from Southbank. 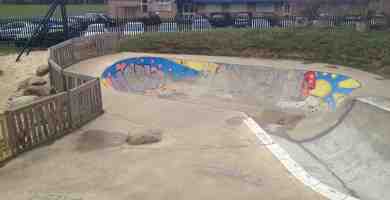 Renovated 70s above ground concrete bowl. 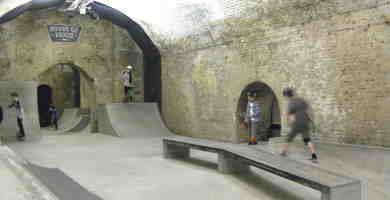 Concrete skatepark on a converted tennis court. 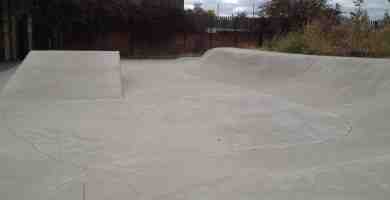 Concrete transistions with a tarmac floor. 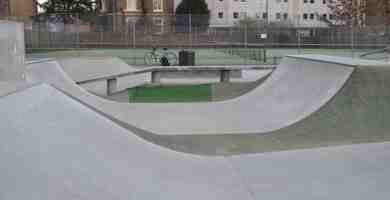 Large plaza style park with kidney shaped bowl. 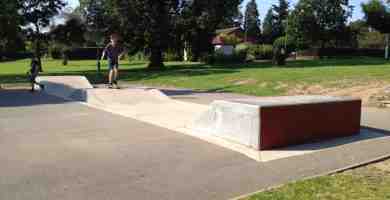 Small L shaped concrete skatepark. 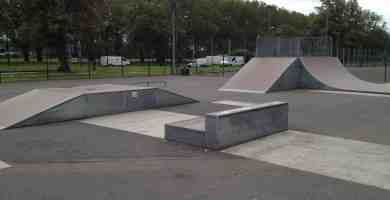 Medium sized concrete park, with a nice layout. 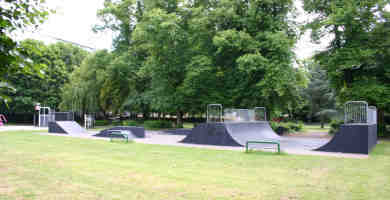 Spacious park with black metal ramps on concrete. 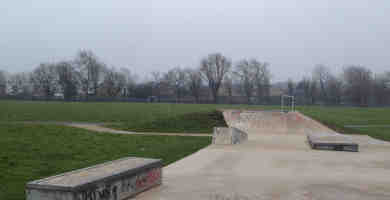 Large concrete park with interesting layout. 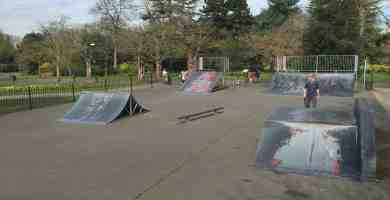 Simple metal ramps on tarmac. 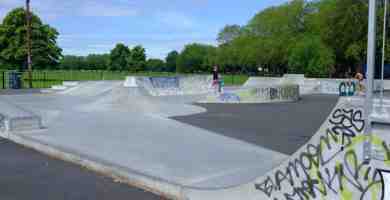 Undercover concrete skatepark and 70s halfpipe. 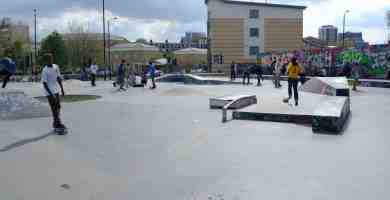 Small collection of ledges on concrete. 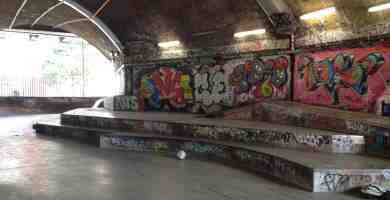 Iconic spot with undercover banks, stairs and ledges. 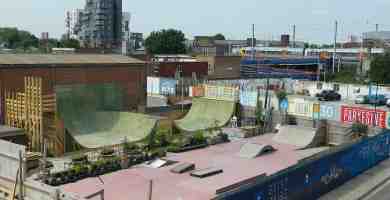 Great use of an odd shaped piece of land. 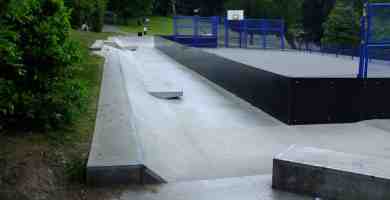 Concrete bowl with pool coping and a street ledge in the park. 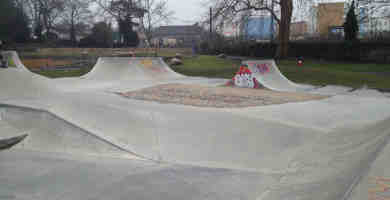 Large concrete bowl with cradle, surrounded by a street course. 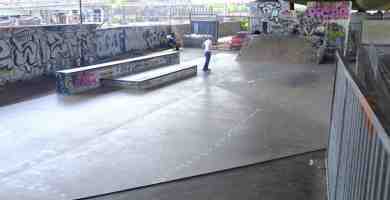 Large transition orientated concrete park. 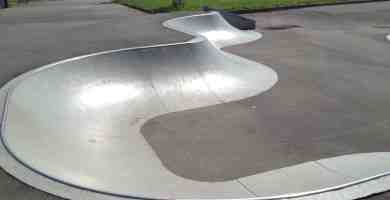 Nice concrete bowl, with some ramps on tarmac too. 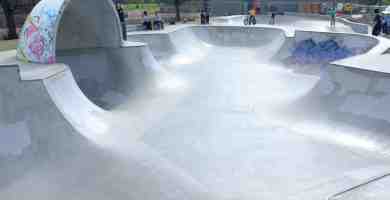 Undercover concrete park with interesting shapes. 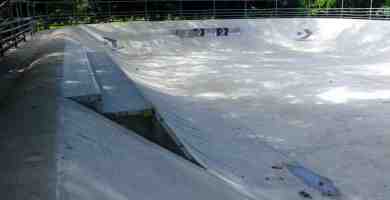 Long concrete wave and driveway. 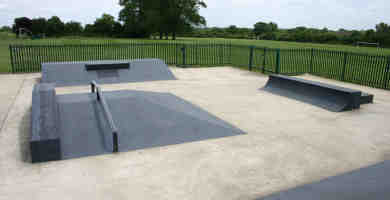 Large park tarmac with metal and skatelite ramps.